Nostalgia aside, this new union is profoundly important. It indicates and evidences change on a vast scale. 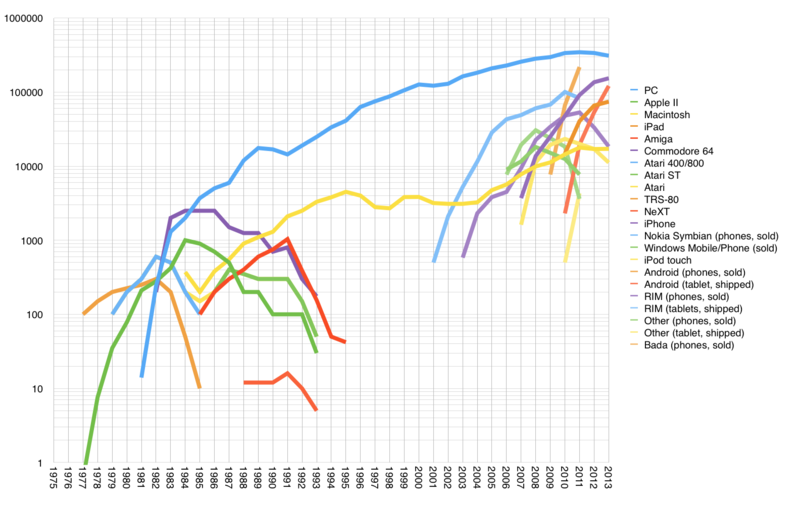 The companies’ antagonism was due to being once aimed at the same business: computing. Since the early 1980s, “computing” came to be modularized into hundreds, perhaps thousands of business models. It is no longer as simple as selling beige boxes. IBM was forced out of building computers and into services and consulting while Apple moved to make devices and the software and services which make its hardware valuable. The convergence of interests which was consummated into a deal this year stems from the migration of computing around what has come to be called “mobile”. Apple intends to accelerate the adoption of its mobile platforms among the remaining non-adopters: enterprises–a group which, by now, qualifies as laggards. Simultaneously IBM intends to connect data warehouses at those same enterprises to their employed users. Both can achieve their goals better if they join forces: Apple offers assistance and expertise while obtaining access and lubrication for orifice entry. IBM offers modularized access to databases through its own APIs and obtains credible client experiences. The combination increases adoption of mobile (i.e. intuitive) solutions and an increase in productivity, benefiting the buyer. The recent apps release showed just how transformative this relationship could be. We were witnesses to apps which appeared to be designed for users[!] They were not designed for committees that prepare checklists of requirements. We must applaud IBM for having the courage to resist the featuritis which plagues enterprise software design. This resistance requires saying No to those who specify and are thus authorized to purchase software and hardware. IBM has had to essentially say no to those who buy and yes to those who are paid to use. The quality of the experience is evident at first sight. The number of user actions, the number of screens to wade through have been ruthlessly culled. These are concepts and ideas which now permeate app design best practices. Yet they are practices which still elude the spec-driven enterprise software wastelands. 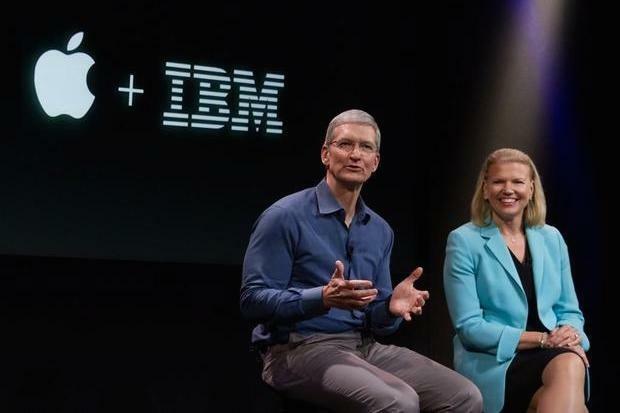 Being unexpected and yet explanatory of the state of technology today, the partnership between IBM and Apple is, in my opinion, the most significant technology news of 2014.